In places like cybercafes or offices, where all computers are interconnected on the same network, so the Internet connection can easily be shared, all computers connect to a work server or information can be easily synchronized on all the PCs that are part of the network. 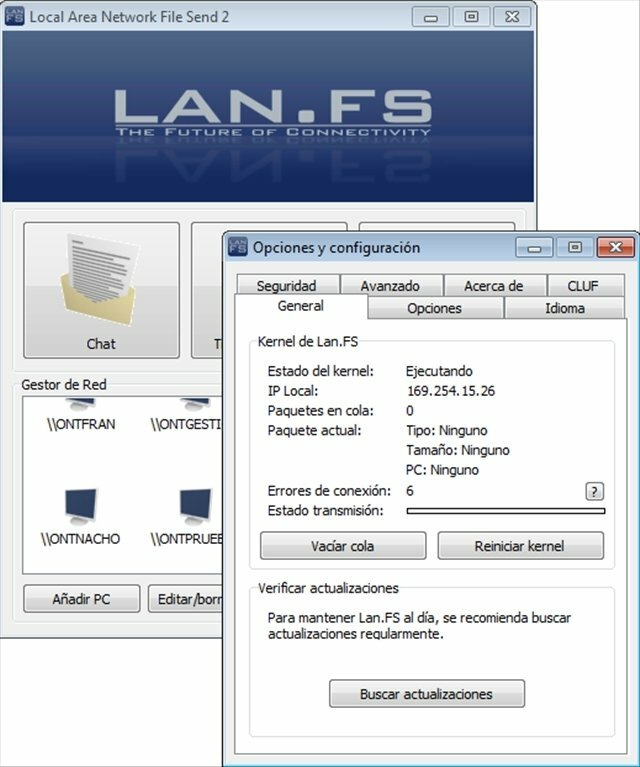 Lan.FS is a useful tool to work with local networks. 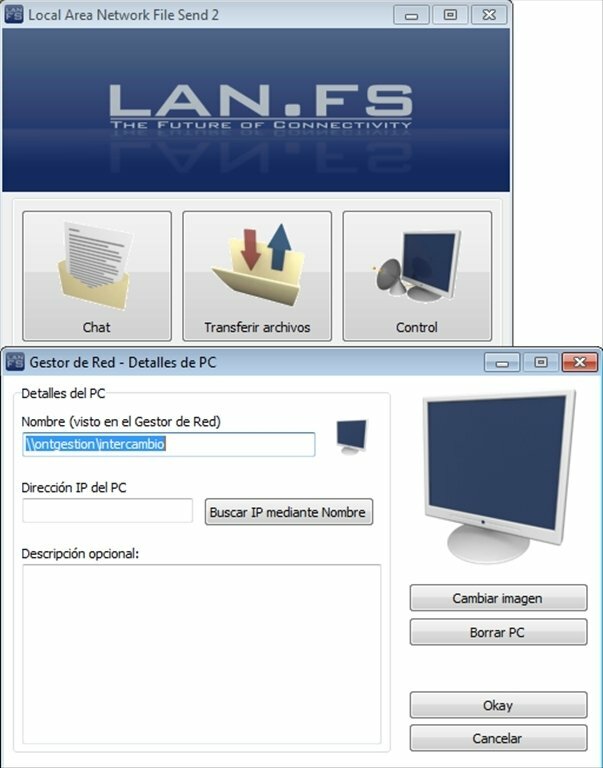 We can now get even more out of our local network by using it to chat or exchange files with the rest of the users that are connected to it thanks to Local Area Network File Send (Lan.FS), a tool that has a simple interface that will allow us to send files to any other computer on the network, use an instant messaging client to communicate with whoever we want or have remote access to other computers on the network to be able to offer them remote assistance. The application will also allow you to run Windows commands on other computers. 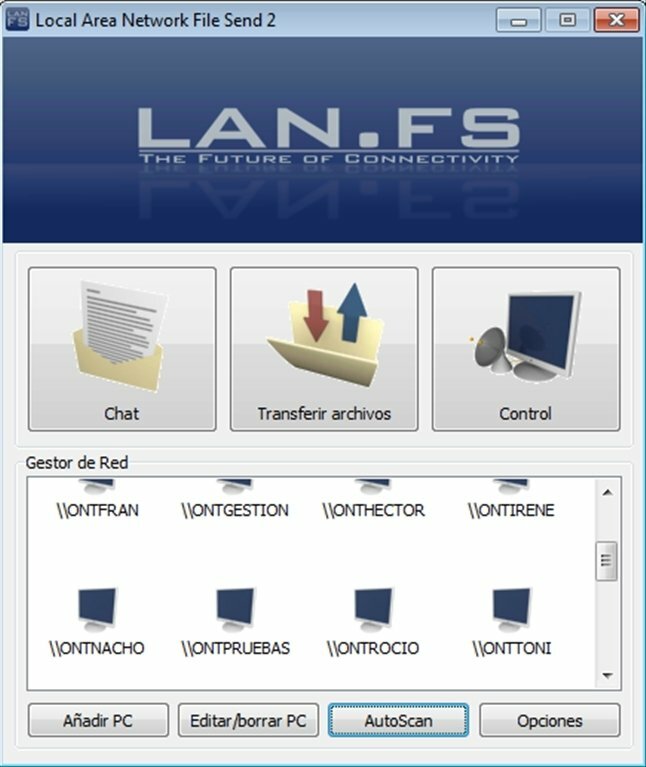 If you need a tool to communicate and send all types of documents to your workmates and friends on a local network, try out Lan.FS.